We’ll have college basketball games back on our TVs in less than two months and by now, we know countless teams’ schedules for the upcoming season. We scoured the 2018 NCAA Tournament bracket and found several rematches that are scheduled for the 2018-19 regular season. Get out a pen and your calendar because you won’t want to miss these rematches, which include last season’s national championship game, a record-setting Final Four matchup and a pair of Sweet 16 showdowns that were decided by a combined five points. It’s not often that you get a rematch of the previous season’s national championship game in college basketball but thanks to the Gavitt Tipoff Games between the Big East and Big Ten, last year’s national title game participants will meet again this November. Villanova has to replace three of its starters from the national championship game, plus Final Four Most Outstanding Player Donte DiVincenzo, who scored 31 points off the bench in the championship, and Michigan lost three of its top four scorers to the NBA or graduation, so both rosters will look different than they did in April. 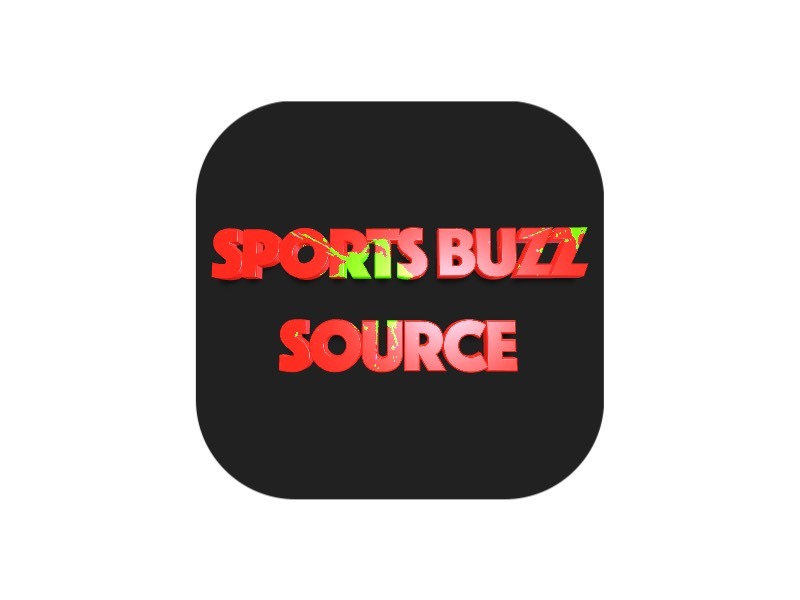 However, the return of Villanova’s Eric Paschall (10.6 ppg, 5.3 rpg) and Phil Booth (10.0 ppg) along with Michigan’s Charles Matthews (13.0 ppg, 5.5 rpg) and Zavier Simpson (7.3 ppg, 3.7 apg), plus promising freshman classes for both schools, should make this an enticing top-25 matchup in the second week of the season. Not only will there be a rematch of last year’s national title game but two of the three games from the 2018 Final Four weekend in San Antonio are scheduled for this season’s non-conference slate. Villanova advanced to the championship game after setting the Final Four record with 18 three-pointers in a 95-79 win over Kansas. The Jayhawks, however, should be positioned well in the rematch with homecourt advantage at Allen Fieldhouse and a roster that could contend for the No. 1 ranking in the preseason AP Top 25 poll. Udoka Azubuike (13.0 ppg, 7.0 rpg) and Lagerald Vick (12.1 ppg, 4.8 rpg) are the team’s top returning players, plus now-eligible Memphis transfers Dedric and K.J. Lawson and a talented freshman class. Loyola Chicago’s Cinderella run to the Final Four was all the more special because of the Ramblers’ back-to-back-to-back game-winning shots in waning seconds of each of their wins in the first three rounds. They led Nevada by one in the Sweet 16 when guard Marques Townes sank a three-pointer with six seconds left to give the Ramblers a 69-65 lead, allowing Loyola Chicago to survive Nevada’s three-point answer on the other end of the floor and advance to the Elite Eight with a 69-68 victory. The Wolf Pack return most of their key contributors from last season – twins Caleb and Cody Martin, Jordan Caroline and Lindsey Drew – plus they enrolled talented 6-11 freshman forward Jordan Brown, which means the Ramblers could host a Nevada team that’s ranked in the top 10 in late November. Loyola Chicago returns Townes, who paced the Ramblers with a team-high 18 points against Nevada in March, Clayton Custer (team-high 13.2 ppg, 4.1 apg), Cameron Krutwig (10.5 ppg, 6.1 rpg) and Lucas Williamson (4.7 ppg), meaning there’s enough talent, experience and maybe some leftover magic in the Windy City for another special season. 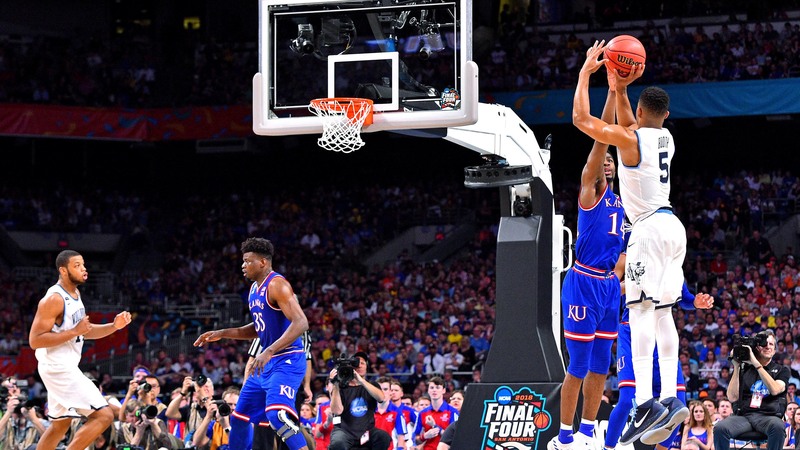 Duke was potentially a bounce away from making the Final Four last season as the Blue Devils fell to Kansas 85-81 in overtime in the Elite Eight. But before that they were pushed by an upset-minded, No. 11-seeded Syracuse squad in the Sweet 16. The Orange played a seven-man rotation in the game (with three starters who played all 40 minutes) and they used the length of their 2-3 zone to limit the Blue Devils to 5-of-26 shooting from deep. Duke ultimately won 69-65 in a tightly contested matchup that was largely a one- or two-possession game throughout. 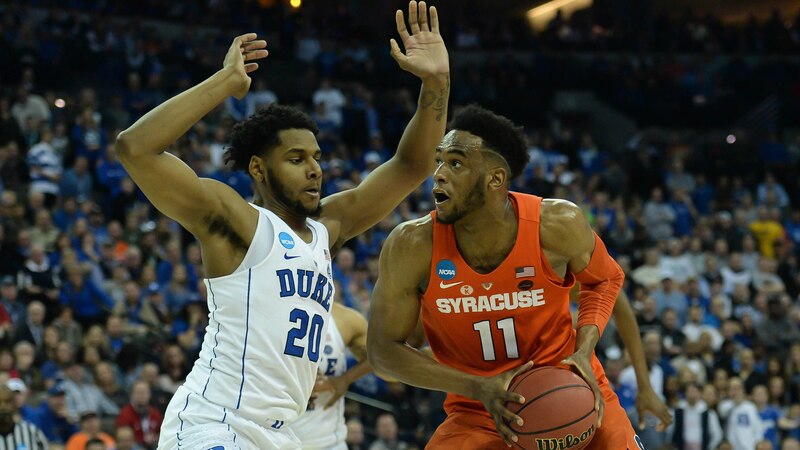 Syracuse returns its top five players from last season – Tyus Battle, Oshae Brissett, Frank Howard, Marek Dolezaj and Paschal Chukwu – while Duke will look to freshmen R.J. Barrett, Zion Williamson and Cam Reddish to replace the production of the Blue Devils’ top five scorers, who are now playing professionally. We’ll get two Duke-Syracuse matchups this season – one early in the new year and one towards the end of conference play.